At the London Olympics later this month, James Magnussen could potentially win four gold medals for Australia. 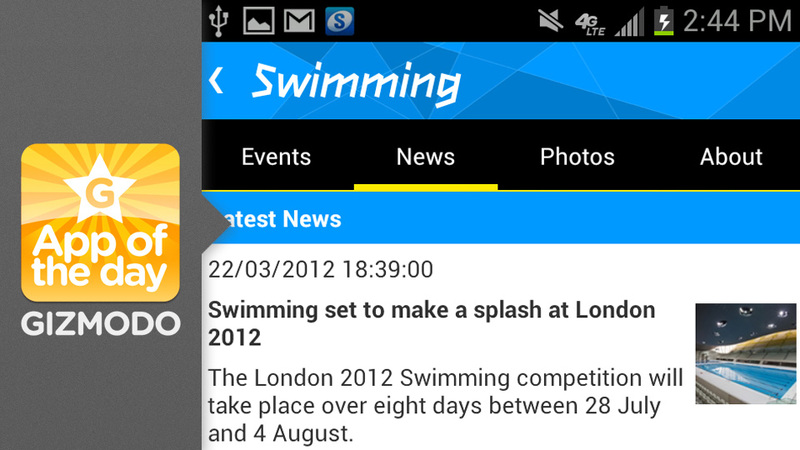 He's just one of many, many hopefuls competing this year, and you can keep track of them all with the official London 2012 results app. Who won the bronze medal for women's pole-vaulting? It'll tell you that and full results for all 302 events, in addition to live updates, game schedules and details about each of the 26 sports. The Olympics are good, clean fun (unless of course you're one of those dope-fiend cyclists). They're an excuse to be hyperbolically patriotic and become a fan of different sports you might not otherwise care about (looking at you, Modern Pentathlon) for two weeks straight. Time to start the countdown to the Opening Ceremony.